Destruction magic provides many means of inflicting damage on enemies. Destruction spells use elements (fire, frost, or shock) to damage health; an enemy's magicka and stamina can also be reduced. Increasing this skill reduces magicka cost when casting Destruction spells. Historical information about the School of Destruction is provided in the lore article. 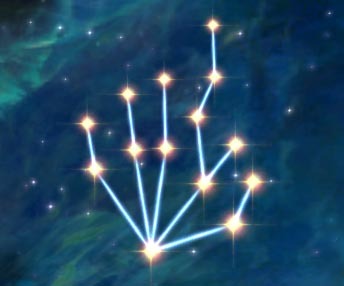 The Destruction skill tree has a total of 14 perks, requiring a total of 17 perk points to fill. In-game Description: The School of Destruction involves the [sic] harnessing the energies of fire, frost and shock. This skill makes it easier to cast spells like Fireball, Ice Spike, and Lightning Bolt. Destruction is the principal damage-dealing school of magic. Destruction mages can use perks to specialize in one or more of the elements—fire, frost, and shock—gaining the ability to do extra damage. Since some enemies are resistant to particular forms of magic, anyone relying on Destruction is well-advised to learn spells from more than one element, and perhaps to specialize in two or more. Lowest magicka cost of the three elements. Sets targets on fire, which deals damage over time using a tapering effect. Special perk: Intense Flames. Causes enemies below 20% health to run away. Many inhabitants of Skyrim are weak against fire damage, including trolls and all creatures with "Frost", "Ice", or "Snow" in their name. In some dungeons there are pools of flammable liquid which you can ignite with fire magic, resulting in impressive conflagrations that can wipe out enemies in seconds, particularly at low levels. The Intense Flames perk is of limited use, firstly because humanoid enemies will drop down to their knees when their health is below 10%, and secondly because enemies that do not drop down will run away, forcing you to kill them some other way. In addition, by casting the Flames and Wall of Flames spells repeatedly in short bursts (exploiting their charge time of 0), you can output the underlying 8 damage hits faster than the baseline of once per second, which will dramatically increase your damage output. If you take the Aspect of Terror perk from the Illusion skill tree', it will make this trick even more devastating, and potentially viable even at high levels, despite being a Novice-level spell, even without Intense Flames. It should also be noted that even without Aspect of Terror, Flames is the second-most magicka-efficient spell in the base game (after Firebolt), and Aspect of Terror will make it an uncontested first place. This trick also works well when combined with the Slow Time shout. With Dragonborn installed, Ignite is much more magicka-efficient, but will not advance your Destruction skill very quickly. With the Unofficial_Skyrim_Patch installed, Aspect of Terror no longer applies to Fire spells, even with Intense Flames. Middle magicka cost of the three elements. Deals damage to health and stamina (typically the same amount). Slows targets by 50% for a few seconds (duration varies). Special perk: Deep Freeze. Causes enemies below 20% health to be paralyzed. Unfortunately, many enemies boast a resistance to Frost damage, and Nords—the most common NPCs in Skyrim—resist it as well. Vampires have a bonus 50% Frost resistance and Nord vampires are completely immune, as are all Dwarven automatons. The Deep Freeze perk is useful, but almost exactly the same effect can be achieved with dual-casting and Impact. The Adept-level area effect missile spell, Ice Storm, is distinct from its counterparts in the other two elements in that it covers an area of effect as the projectile itself travels, instead of just projecting its effect area upon impact. Large swaths can be attacked by rapid-fire tandem casting of Ice Storm. Usage of any frost attacks against bandits or other primarily melee-based foes shows the utility of the stamina-damage and slow effects, as it can impair their ability to power attack or shield bash, as well as allow you to stay out of their melee range. However, Ice Storm's primary weakness is that, unlike Fireball and Chain Lightning, it has a limited range (though still three times as far as your typical concentration spell), and is also quite slow, making it more difficult to target fast opponents in open areas, particularly since it primarily hurts targets in a straight line. Highest magicka cost of the three elements. Deals damage to health and magicka (magicka damage is typically 50% of the health damage). Generally shorter range, but projectiles hit instantly. Special perk: Disintegrate. Instantly kills enemies below 15% health. In practice, enemy mages tend to have more magicka than health, which combined with the fact that you deal more health damage than magicka damage might make the magicka damage meaningless. However, skilled mages with the proper magicka reserves will win in a mage-vs-mage duel of attrition. The magicka damage is also effective against dragons who are unable to shout once their magicka pool is depleted. Shock spells have three chief advantages: firstly, there are few enemies that are resistant to shock damage, and in the base game, only storm atronachs and Orchendor have 100% shock resistance, making it equally useful against practically all enemies and allowing you to save perks by specializing in just one element (Dawnguard and Dragonborn add a couple of unique creatures with shock resistance, along with netch, seekers and shock spiders). Secondly, unlike fire and frost, all shock spells hit instantly wherever you're aiming them, making it easier to hit moving targets, though at a reduced range compared to fire and frost spells. Finally, shock gets a specialization perk, Disintegrate, which effectively reduces hit points of all enemies in the game by 15% (though it may cause some looting problems as of patch 1.3, so be careful). This perk is particularly useful when dealing with necromancers, or anything else capable of raising the dead, since it ensures that the disintegrated target cannot be reanimated. At the same time, if you wish to reanimate enemies, you should either avoid this perk or avoid using shock damage on enemies you want to revive. †This effect is affected by any Alteration-modifiers, such as the Stability perk. Only available with Ahzidal's Ring of Arcana equipped. Can be purchased from Talvas Fathryon after completing the quest Wind and Sand. Frost Barrier, 8 points for 1 second on targets hit directly. Slow, 50 points for 5 seconds. Deep Freeze Paralyze, for 3 secs, if the Deep Freeze perk has been unlocked. Frost (HazardWallofFrostSpell), 20 damage every 1 second, Slows enemy for 5 seconds. The hazard effect lasts for 30 seconds on the ground. Sets targets on fire, dealing 40% of the immediate spell damage over 4s. N/A N/A 1/s 1/s Burns the target 1 points per second. Targets on fire take extra damage. Be aware that increasing your Destruction skill level decreases the casting cost, but does not increase the spell damage. To keep using Destruction magic effectively against tougher opponents, you will need to either learn stronger spells, pick the damage increasing perks, or both. Shock spells reach their target nearly instantaneously, much faster than the other elements, so you do not have to lead your shot when targeting moving opponents. Rune spells can only be placed close to the caster, and the continuous-damage Novice-level spells Flames, Sparks, and Frostbite have a very limited range. However, the range of Rune spells can be improved with the Rune Master perk. It is best to use Rune spells in close quarters or tight entrances, and is especially useful for those that mix stealth and magic. They are also useful for triggering draugr that are hidden in crypts. What's more, if you have the Rune Master perk, runes can be used as an instantaneous mid-range attack. Use the various cloak spells when battling multiple enemies, as any nearby opponent that you are not focusing on will still take damage. Be aware, however, that cloak spells will only level your Destruction skill on a per cast basis, not a per damage basis. When facing a difficult opponent with high health, such as a dragon priest, it is often helpful to make use of the dual-casting Impact perk. This effectively allows you to stagger-lock the opponent, preventing them from retaliating. Larger opponents like dragons and Dwarven Centurions can only be staggered if you have the Augmented perk that corresponds to your spell (for example, Augmented Fire for Firebolt). Note that the Dual Casting perk is magicka inefficient, as it means only 10% damage increase for 40% higher magicka cost. Unless you have a lot of magicka or a lot of casting-cost-reducing gear, it is more efficient to cast two normal spells with both hands (you can still cast two single-cast spells after acquiring the perk by activating one hand then the other in rapid succession, rather than activating both hands simultaneously for the dual-cast version). However, dual casting has two advantages that, situation depending, may outweigh the additional cost: the DPS of dual casting is higher, and the Impact perk provides a guaranteed stagger, depending on the spell. The stagger effect has no effect if the target is already staggering, thus a good balance between efficient damage and shutdown of the target is to alternate a dual-cast with two quick double casts. Impact does not work with constant 'stream' spells (Flames, Frostbite), Novice-level spells, the Wall-type Expert spells, or Master-level spells. Note that any spells that require preparation time to be cast stop your magicka from regenerating for the duration of the charge up until the spell is cast. This means that both preparing and holding spells, and casting spells in rapid succession reduce the amount of time available for magicka regeneration, and make sustained casting difficult. In order to maximize natural magicka regeneration while in combat, it's best to minimize any time spent "waiting" to cast a fully-charged spell. When using Fireball or Chain Lightning, it is better to aim at the ground or wall near the target than at the target itself. There is no proximity falloff to damage in the area of effect, and the wall or ground near a moving target is far easier to hit than the target iteslf. Use those spells (and Ice Storm as well) to attack areas, not specific targets. +1 Destruction reward (and other magic skills) from Pantea Ateia (Bards College) for completing the quest Pantea's Flute. +5 Destruction (+5 every magic skill) by selecting "The Path of Magic" when reading the Oghma Infinium after completing the quest Discerning the Transmundane. The XP gain for Destruction skill is dependent on the base magicka cost of the spell and the damage inflicted on a target. Thus, increasing the difficulty level will slow down skill development, as your damage output will be lower. Lowering the difficulty below Adept (gaining bonus damage) will not increase the XP gains. Dual Casting does not increase XP gain. To level this skill, you must cast a spell on a valid target. This can be exploited by casting the spells on essential targets that will not turn hostile. Some of these targets include Shadowmere, Hadvar or Ralof during Unbound, the Riekling Chief during The Chief of Thirsk HallDB, Esbern before A Cornered Rat, Paarthurnax before starting his quest, M'aiq the Liar, Ancano before the conclusion of Revealing the Unseen, conjured creatures, and torture victims in Dawnstar Sanctuary. Note that the target in question must actually sustain damage for it to count. For this reason, casting spells on invincible targets such as Children and Brynjolf will not level your skill. It is possible to reduce or even completely eliminate the magicka cost of spells by stacking Fortify Destruction enchanting effects. The Secret of ArcanaDB power does the same thing, but only for 30 seconds. The Secret of Arcana shout can be exploited using concentration spells, as the spell will continue to cost 0 so long as spell is uninterrupted. Casting Blizzard will increase Destruction Skill even if there is no opponent. Since the spell does a small amount of damage to you, this appears to count as a valid opponent. Although you can only obtain Blizzard at skill level 100, if you subsequently make your Destruction skill legendary, you can then use Blizzard to level it. Rune spells will also quickly increase your Destruction skill, provided an enemy triggers them. Projectile spells shoot at 1 spell per second (2 if dual cast), much faster than even the fastest bow with the Quick Shot perk. 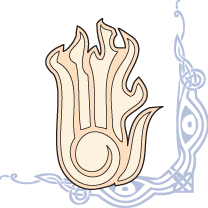 When you bash an opponent with a torch, it will count towards leveling your Destruction skill: the fire damage from the torch is registered as magical fire damage like that of a spell, similar to how dragon shouts can be blocked by Ward spells, because they are considered magical attacks. Destruction Dual Casting enables you to cast a 220% strength version of the spell at 280% of normal cost when simultaneously casting the same spell from both hands. Rune spells can be used to draw draugr out of their sarcophagi. Even "at rest," they will set off nearby runes and take damage from them. This is useful in barrows with large numbers of draugr, as it allows you to take them on one at a time. Furthermore, since Wall of Flames does not wake enclosed draugr, it can be applied around or in front of a sarcophagus before awakening the draugr within, resulting in nearly instant kills as they emerge. J'zargo's Flame Cloak Scrolls will also draw out draugr as the Rune Spell. Ice Storm can travel through walls or other obstructions and damage unseen foes. With a high enough skill level in Destruction, passing guards may say, "Destruction magic's fine; just don't go burning down any buildings". If the Impact perk is taken, Ice Storm will stagger all foes within its area of effect when dual cast, unlike Fireball and Chain Lightning, which will only stagger the target they hit directly. With the Disintegrate perk, if Lightning spells are used as a finishing blow to kill a dragon, the dragon's soul may not be absorbed. This bug is fixed by the Official Skyrim Patch. The Cloak spells will dismiss summoned creatures because they are programmed to dispel any spell with the "that spell looks dangerous" flag. This was meant to dispel an existing cloak, but also affects other spells. Many effects are not correctly affected by the Augmented Flames, Augmented Frost, and Augmented Shock perks. These perks rely upon the MagicDamageFire, MagicDamageFrost, and MagicDamageShock keywords to identify which magic effects should be enhanced by the perks, however many spell effects are missing those keywords—specifically, all Rune and Cloak spells. Conversely, all Damage Stamina enchantments are affected by the Augmented Flames perk. Mod Notes: EnchStaminaDamageFFContact incorrectly has MagicDamageFire applied. The Deep Freeze, Intense Flames, and Disintegrate perks will cause your cloak spells to kill followers who are in bleedout. If you kill anything with a frost spell, have the Deep Freeze perk, and try to reanimate them, they will just walk in place and do nothing. If you jump up and down repeatedly in a forge, you will be set on fire, which will slowly increase your Destruction skill. This does not work with special forges like the Skyforge. This issue has been addressed by version 1.2 of the Unofficial Skyrim Patch; this no longer gives you Destruction experience. If you have the Disintegrate perk and use Lightning spells to kill enemy soldiers during the Civil War battles where they continuously respawn, the respawned enemy soldiers may be invisible. ? The Wall spells do a direct damage of 8/sec and 20/sec to anything that touches them. At no point do they do the 50/sec stated in the spell description.